Their previous bout ended with McGregor's submission and victory for the Russian fighter, who defended his lightweight champion belt. But the fight was overshadowed by the subsequent melee outside the octagon, which led to sanctions against both athletes. Al Iaquinta fought the Russian mixed martial arts (MMA) athlete in April 2018 and lost, resulting in Khabib Nurmagomedov becoming the new UFC lightweight champion. The latter defended his title in October in a fight with McGregor, who lost and now also wants a rematch with Khabib. 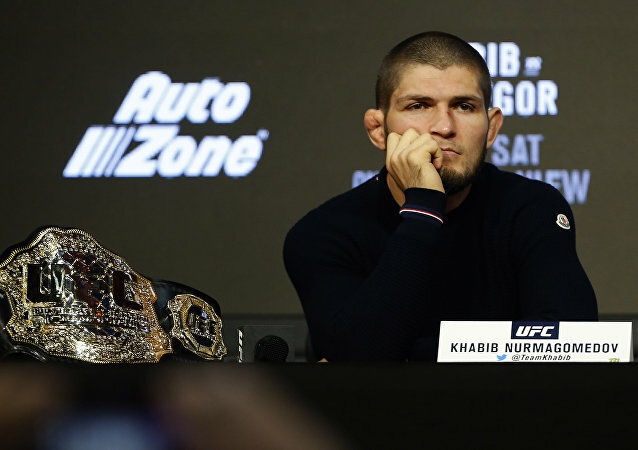 While Khabib does not seem keen to go up against McGregor again anytime soon, his head coach Javier Mendez has different ideas, arguing that such a match-up could rake in an incredible amount of money. White pointed out that it remains to be seen what kind of punishment the Nevada State Athletic Commission would mete out to both fighters for their October post-bout brawl. Nearly month ago Conor McGregor lost in a fight to reclaim the UFC lightweight title to Khabib Nurmagomedov. The fight turned out to be scandalous not only by the MMA standards, but also for the whole martial arts community. The Notorious was unusually tight-lipped after his clash with Khabib, who, in contrast, talked about congratulations from the Russian President and McGregor's own misconduct in the weeks ahead of the UFC event.